Riga Farms is focused on growing and distributing vegetables and herbs with an emphasis on quality and freshness. We are committed to providing Ontario with fresh and affordable produce. In 1971, Rosario moved to Bradford, Ontario, Canada. Shortly after, he accepted a job with his father-in-law Peter Ferragine at a vegetable farm. 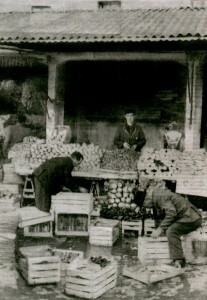 During his time with Peter Ferragine and Sons, he would learn about vegetable production and some of the challenges associated with farming in Canada. 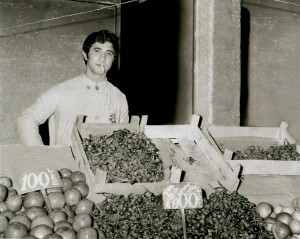 In the late 1980’s, Rosario accepted a position at a local grocer as the produce manager. During this time he interacted with the Canadian consumer and developed an understanding of the Canadian produce market. In 1994, he returned to farming, along with his wife and three sons, on their small ten acre farm in the Bradford Marsh. The name of the company was Rosario Riga and Sons, employing only the five family members and a few high school students. Send an email to info@rigafarms.com to inquire. All positions are located in the Holland Marsh in Ontario. Is comfortable with late nights and early mornings. Must be willing to work between 30-60 hours/week. Can work outside in cold/heat. Standing on a line and sorting good/bad produce.